Experience "la dolce vita" in this magnificent med. 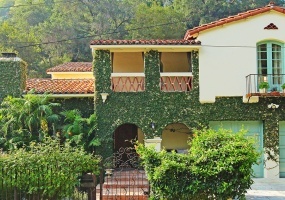 home in the guard gated palisades country estates section of the pp highlands. situated on approx an acre the property features 5bds + 6.5bths, liv rm w/ fplc, fam rm w/fplc, lib w/built-ins, pvt pool & tennis court surrounded by lavish gardens & mtn views. 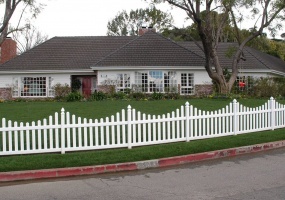 enter through pvt gated driveway for ultimate privacy. 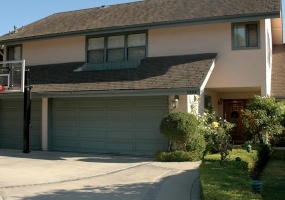 LOCATED IN THE SOUGHT AFTER ROYAL OAKS AREA OF ENCINO, THIS PROPERTY IS A MUST SEE FOR YOUR MOST DISCRIMINATING BUYER. NO DETAIL HAS BEEN LEFT UNTURNED AND NO EXPENSE HAS BEEN SPARED. GRAND LR W/ FP, FRML DR W/ACCESS TO KIT, LRG FAM RM W/FP AND FRENCH DOORS LEADING OUT TO BCKYRD. KIT HAS AN EAT IN BRKFST AREA AND CENTER ISLAND. MASTER BD HAS A FP, 2 WALK IN CLOSETS AND A BA W/JACUZZI TUB. Located on a sought after street in Westwood overlooking the Los Angeles Country Club golf course, this gated 2 story traditional style home is designed for daily living with a floor plan that suits both entertaining on a grand and intimate scale. The bright formal entry leads to the step down living room which has a 2 story vaulted ceiling plus a fireplace and formal dining area. 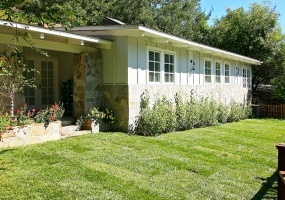 Located in one of the most coveted neighborhoods in brentwood. entering the home through a private courtyard, you will find an open and spacious living room with fireplace and formal dining area. galley style kitchen offers granite countertops, custom-cabinetry and a built in breakfast nook. gorgeous hardwood floors and updated touches throughout, there are 4 bedrooms plus an office/den and 3. 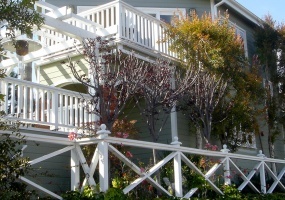 Gorgeous gated Cape Cod built in 2004 located in sought after Alphabet Streets. No expense has been spared or detail overlooked in this charming 2 story home. There are 3 bedrooms and 2.75 baths in the main house with the 4th bedroom and bath in the guest house. Located in the sought after Los Feliz Oaks, this beautifully restored gated authentic mediterranean has the perfect balance of old world grandeur and casual elegance. 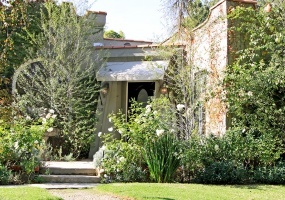 Located on a cul-de-sac street off of Mandeville Canyon, this home rests among a verdant and private setting. Flooded with natural light, this one-story home has an open floor plan that makes it ideal for entertaining. The Kitchen has a center island, Sub Zero refrigerator, Viking stove and cook top. Home sweet home! 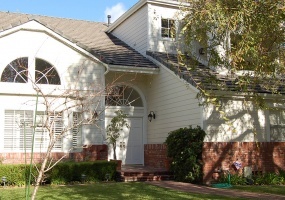 wonderful move in condition, 5bd & 4ba house in sought after studio city. gourmet kitchen w/lg center island, sub-zero & dacor appliances overlooks breakfast area and landscaped grassy backyard. family rm w/fp & wet bar, open dining room and formal step down living rm w/fp. 1bd & ba down and 4 bd & 3ba up including master all w/vaulted ceilings. 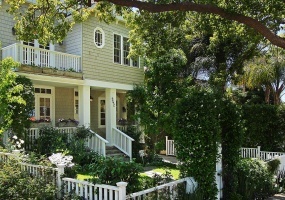 Beautiful Cape Cod inspired 2 bed & 2 bath + den home on a quiet cul-de-sac street situated minutes above Sunset Blvd. w/ easy access to the Valley & Westside. The first floor includes all the entertaining rooms and downstairs bedroom all with hardwood floors, full bathroom with a steam shower and a large gourmet kitchen with granite countertops and stainless steel appliances. 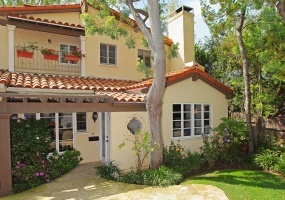 This beautifully remodeled 1920's Spanish style home is filled with both charm and character and is conveniently located to Beverly Hills and West Hollywood shops and dining. The fully landscaped front yard creates privacy from the street and lush views from inside the house. 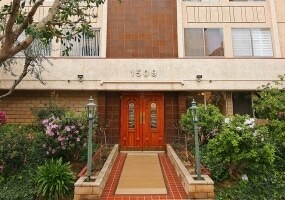 Beautifully remodeled spacious unit embodies the perfect balance of casual and sophisticated living. enter through double doors into the foyer that has two coat closets. the liv rm has a gas fireplace and opens onto both the patio and formal din area, equipped with built-in bookshelves. 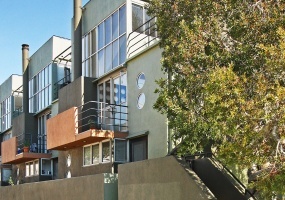 Stylish town home located in a dramatic architectural building. this unit is located in the front of the building and receives an abundant amount of natural light. the 1st level has a bedroom and bath that lead out to a patio as well as a master bedroom with bath and stackable washer and dryer.